Forgotten Majors Series: What Can I Do with a Math Degree? Has a knack for multiplication and logarithms. Longs to spend time solving equations. If this describes you, a math degree should be within your reach! 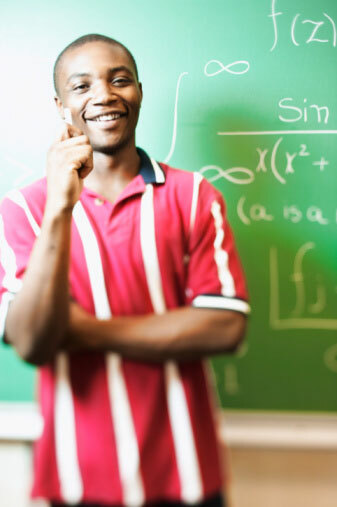 Careers in mathematics can be both personally enriching and financially rewarding. People who enjoy working with numbers can benefit from a wide range of career opportunities as long as they know where to look. Jobs relating to numbers and probability are in numerous fields that are respectable and well known, assuming the candidate is willing to find them. If you want to work with children and want to make a difference in their lives, working as a math teacher might be a good career path for you. Math education is a rewarding field that allows teachers to work with children across the age groups while teaching them valuable skills that are applicable to real life. Big businesses always are looking for accountants and number crunchers to help manage their business and finance department. Being an accountant is a great way to get inside the big companies and experience the thrill of working for a well-known corporation. Government jobs aren’t just for those select few that become CIA agents or part of the secret service. Government agencies look for candidates with strong math backgrounds to help with security measures, technology, and political matters around the world. Another perk of working for a government agency is the potential to be placed overseas or travel frequently if traveling is something that interests you. Insurance agencies are often looking for valuable and skilled candidates who can crunch numbers and work with probability and statistics for determining risk factors when dealing with automobile crashes, house fires, and other natural disasters which often ruin homes, businesses, and valuables.